Since 1955 the Vermilion Power Plant has been storing toxic coal ash in three ponds next to the Middle Fork Vermilion River near Oakwood, Illinois. The river runs through Kickapoo State Park, which is visited by more than a million people each year. 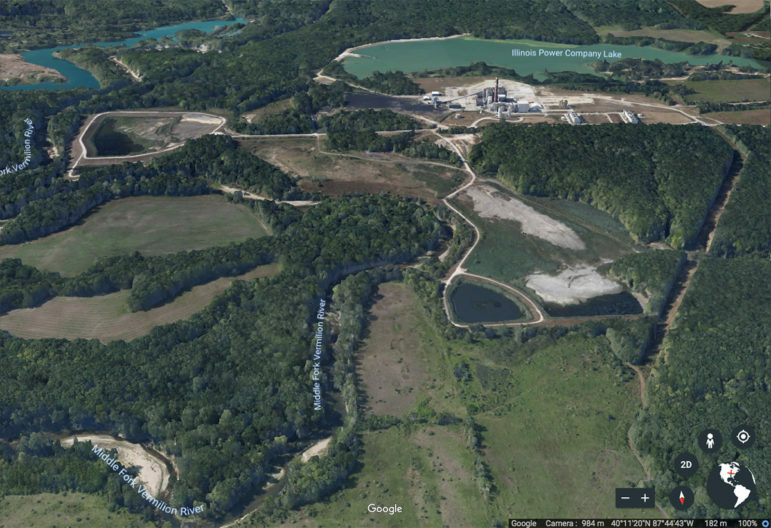 Each year thousands of families boat down the Middle Fork branch of the Illinois Vermilion River below an embankment that holds back 3.3 million cubic yards of toxic coal ash sludge stored in three large ponds. Some of the boaters might spot a line of discolored seepage in the riverbank where the force of the river is undermining the ash ponds above. The seepage – also known as seeps – tests positive for toxic chemicals and heavy metals associated with coal combustion waste, according to environmentalists who ran the tests. When the river is low the contaminants collect in multicolored pools, evidence of groundwater flowing through the ash ponds into the river. The coal ash ponds at the closed Vermilion Power Station sit within the flood plain of the Middle Fork, which is Illinois’ only federally designated National Scenic River. Groundwater flows through the ponds into the stream. The site has been cited twice by the Illinois Environmental Protection Agency for serious violations of the Clean Water Act. Environmentalists and community members fear that the seepage will increase if proper measures aren’t taken to increase containment or excavate the ash and move it. 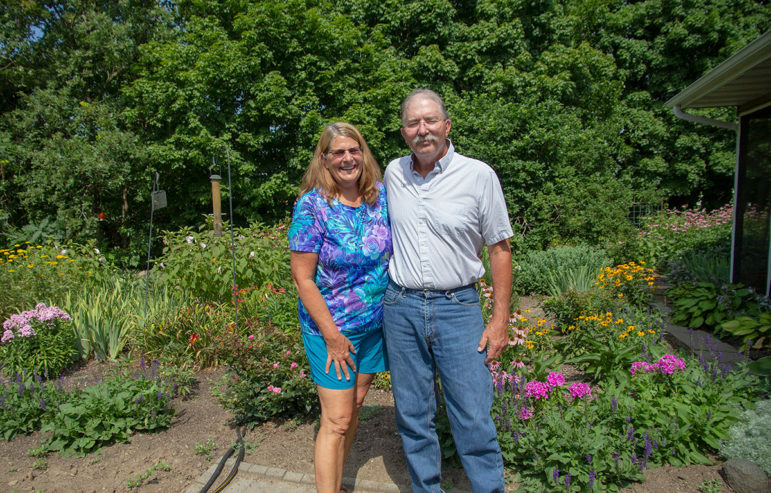 “There’s been a groundwater violation notice at the Vermilion site since 2012,” said Andrew Rehn, a water resources engineer with the Prairie Rivers Network, the nonprofit environmental group that has tested the seeps. Local residents and officials as well as regional and national environmental groups also worry that the containment dams could eventually collapse if the site is not properly monitored. The collapse would allow up to 600 million gallons of toxic ash to pour into the river in what would be a disastrous environmental event. Such a containment failure could overwhelm the river for many miles downstream. The coal combustion waste would flow from the Middle Fork to the Salt Fork, then into the Vermilion River and through downtown Danville. Such collapses have happened twice in the last decade in the U.S – in Tennessee and North Carolina. Exacerbating all these issues is a lack of federal and state regulations that ensure the community has little say about the unsafe storage of the coal ash. The Vermilion Power Station operated from 1955 to 2001, when it was retired by Dynegy Midwest Generation. Illinois Power opened the Vermilion Power Station in 1955. Dynegy bought Illinois Power in 2000, and operated the plant until it was retired in 2011. It was Dynegy’s own groundwater tests that show toxins associated with coal ash exceeding allowed contamination standards. Vistra Energy Corp., which merged with Dynegy in April, declined to answer questions for this story, but issued a written statement denying its coal ash ponds impoundments are polluting the river. The Illinois Environmental Protection Agency issued the first groundwater violation notice to Dynegy in 2012, the year after the plan closed. Unlike most of the other 83 coal ash sites in Illinois, the Vermilion site is not covered by federal regulations on coal ash, but it does fall under the Clean Water Act. Meanwhile, on May 30, Prairie Rivers filed a lawsuit against Dynegy, claiming pollution from the Dynegy coal ash ponds violates the Clean Water Act. 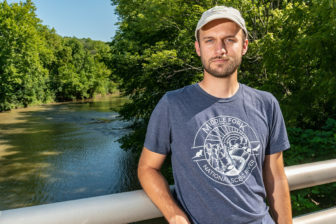 “What we’re seeing if you take a canoe down the Middle Fork is that this coal ash is seeping through the riverbank and creating a couple hundred feet of orange purple oily sheen stained riverbank where coal ash pollutants are entering the Middle Fork River,” Rehn said. 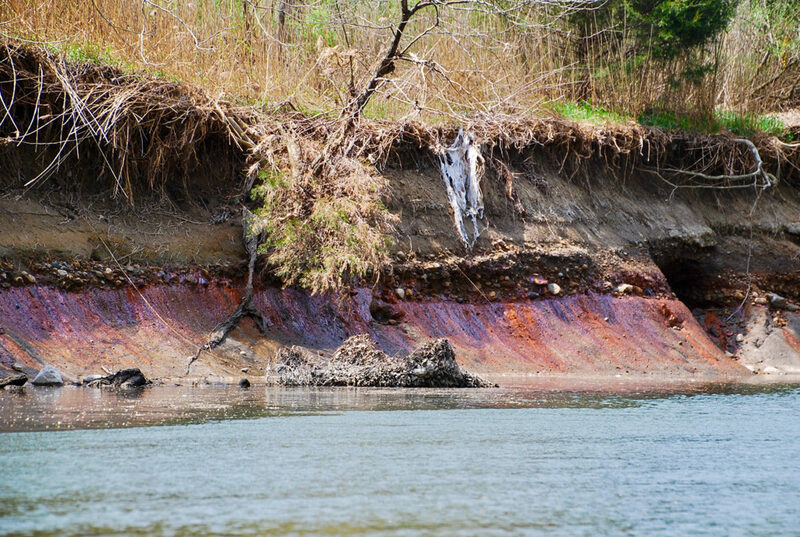 Multicolored seepage can be seen on the bank of the Middle Fork under the coal ash ponds at the Vermilion Power Station. Structures installed by Dynegy, meant to prevent erosion, have been overwhelmed by the force of the river. On June 20 the Illinois EPA issued a second violation notice to the company for alleged pollution of surface water in the Middle Fork. The Vermilion Power Station coal ash ponds are 40 feet deep, extend into the ground water table, and sit within a few yards of the Middle Fork. They store more than 600 million gallons of toxic coal ash. Parts of the ponds actually have grass growing on soil dumped on the ponds to cover them. The site has three ponds: the North Ash Pond, the Old East Ash Pond and the New East Ash Pond. Only the New East pond is lined at the bottom to limit leaching into groundwater. The coal ash ponds at the Vermilion Power Plant are located in the floodplain of the Middle Fork, and sit within feet of the riverbank. They are 40 feet deep and hold some 3.3 million cubic yards, or about 600 million gallons, of coal combustion waste. No Illinois law requires Dynegy to remove its coal combustion waste from the banks of the Middle Fork River. The federal Coal Ash Rule, issued by the U.S. EPA in 2015, does not apply to retired coal plants like the Vermilion Power Station. The lack of coal ash standards at both state and federal levels allows pollution and potential disaster at inactive sites like the Vermilion Power Station. And in July, the EPA tried to roll back federal rules for active coal ash sites – an attempt that is currently blocked by a U.S. Court of Appeals. Coal ash is the combustion waste left after burning coal, and it’s one of the largest industrial solid waste streams worldwide. U.S. coal plants produced 107 million tons of it in 2016 alone. The waste contains a stew of toxic chemicals and heavy metals including arsenic, lead, mercury, selenium, aluminum, boron, chlorine, cobalt, manganese, thallium and zinc. 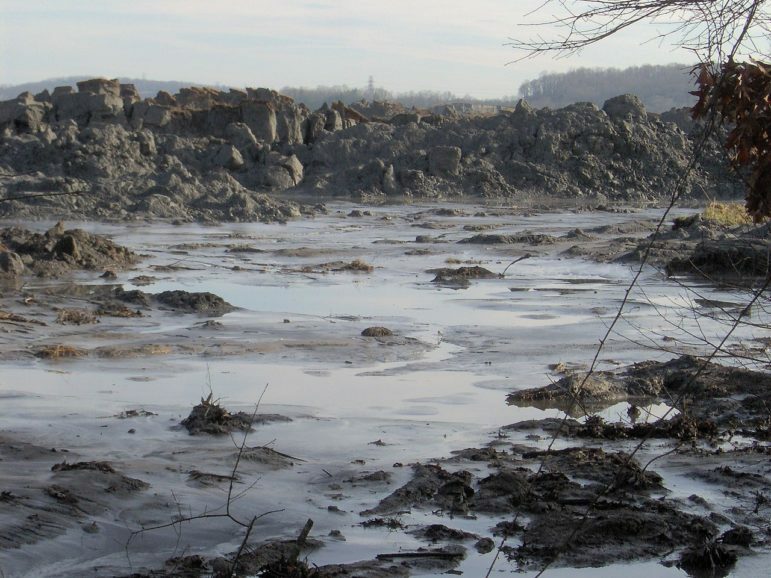 Toxins in coal ash can cause cancer, heart damage, lung disease, cognitive impairment, reproductive failure, kidney disease, gastrointestinal illness, birth defects and impaired bone growth in children. There are some 992 coal ash landfills and water-filled impoundments at 414 coal-fired power plants across the U.S. Most are located next to lakes and rivers. Groundwater flowing through the impoundments can carry contaminants into public water sources. Groundwater samples from 3,900 monitoring wells at 155 coal ash sites across the U.S. show that 76 percent of the wells are contaminated above safe levels. Illinois has 24 active and retired coal power plants and a total of 83 pond sites, known as impoundments. Fewer than one-third are lined to limit contamination of groundwater. Andrew Rehn is a water resources engineer with the Prairie Rivers Network. Andrew Rehn of Prairie Rivers said the group recently reviewed groundwater reports from 18 active Illinois coal plants. Several large coal ash spills have recently brought national attention to the dangers of coal ash containment failures. In 2008 a massive spill at a Tennessee Valley Authority coal plant released more than 5.4 million cubic yards of coal ash into the Emory and Clinch rivers near Kingston, Tennessee. A view of the TVA Kingston Fossil Plant coal ash spill, 1 mile from the retention pond that spilled into the Emory River. The pile of ash in the photo is 20-25 feet high, and stretches for two miles. Another spill in 2014 at a North Carolina Duke Energy plant dumped 39,000 tons of coal ash and 27 million gallons of ash wastewater into the Dan River. Duke was found guilty of environmental crimes, and the cleanup is costing an estimated $5 billion. The 2015 federal Coal Ash Rule established engineering standards for coal ash ponds, ad required groundwater monitoring, public reporting of contamination, and closure of ponds that pollute beyond allowed levels. But the federal rule doesn’t apply to the Vermilion Power Station. 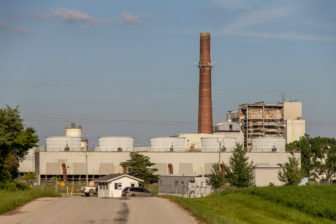 “Vermilion was exempted from the 2015 EPA coal ash rule because it’s a so-called legacy site where there was not an active power plant in place as of the effective date of the rule,” said Thomas Cmar, an attorney from Earthjustice who is representing Prairie Rivers in its lawsuit against Vistra/Dynegy. To help assess potential pollution from closed and inactive coal ash ponds, the U.S. EPA compiled and maintained a database for nearly a decade of “legacy” ponds and their owners, meaning sites that are retired or no longer receiving coal ash. 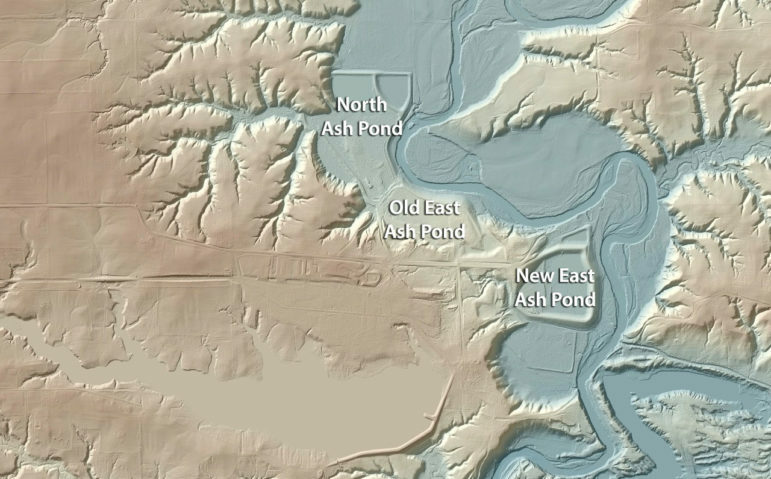 The EPA considers that these older ponds, many of which are unlined, pose “the greatest risks to human health and the environment.” Despite this, coal ash ponds at the legacy sites as shown on this map are exempt from federal coal ash regulations. 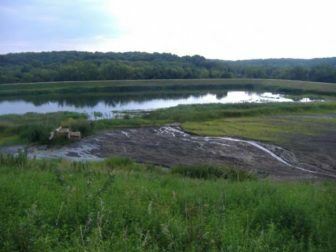 Illinois started making its own rules for coal ash disposal in 2010, after the Illinois EPA found groundwater contamination at sites throughout the state. A state coal ash rule was drafted in 2014, but approval remains pending before the Illinois Pollution Control Board. On July 13 the U.S. EPA rolled back many requirements of the federal coal ash rule for plants still burning coal. The new rule relaxes standards for groundwater monitoring and contamination and delays the closure deadline for polluting sites. A U.S. Court of Appeals has since ruled that the 2015 rule doesn’t go far enough in protecting human health and the environment, and ordered the EPA to revise the rule. Sanjay Sofat, Chief of the Illinois EPA Bureau of Water, says his agency is concerned about the seeps. Any “point source” of pollution – defined as industrial, municipal, or agricultural waste released into the environment from a single identifiable source – requires a permit under a part of the Clean Water Act called the National Pollution Discharge Elimination System (NPDES). Dynegy’s NPDES permit expired in 2008 but has been “administratively continued” by the Illinois EPA. But the non-profit environmental group Prairie Rivers claims that Dynegy isn’t complying with the permit conditions. Vistra Energy declined multiple requests for an interview to answer questions about the coal ash ponds at its Vermilion Power Station. In a written statement, the company insisted the groundwater seeps aren’t impacting the Middle Fork. Vistra is preparing to permanently close its three Vermilion coal ash impoundments, either by excavating and removing the coal ash, or capping the ponds and leaving the ash in place.The company plans to submit a closure proposal to the Illinois EPA in October, including its latest groundwater testing and hydrological studies of the site. Several other agencies will also review the proposal: the Illinois Department of Natural Resources, the U.S. Army Corps of Engineers and the National Park Service. State law doesn’t require a public hearing or comment period on Vistra’s closure proposal. 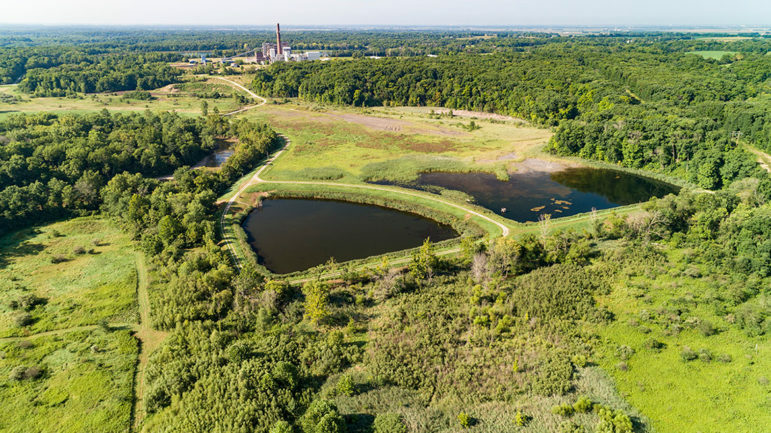 But local residents, environmental groups and public officials are concerned that Vistra will propose to simply cap the ash ponds and leave them in place. That would save the company millions of dollars in the short term, but the risk to the river would remain. Sofat said while public concerns may be a factor in the closure decision, the Illinois EPA is bound by regulations. Dynegy paid for a 2017 engineering report by Stantec Consulting Services of Fenton, Missouri, which shows five options for closing the coal ash ponds. Two of the options would excavate the coal ash from the ponds either for disposal in a dry landfill or for recycling and reuse. Three options would cap the ponds and leave them in place. “When they cap in place, we call that pollute in place,” said Frank Holleman, senior litigating attorney with the Southeastern Environmental Law Center, which has won lawsuits forcing coal companies to move coal ash to dry landfills. If the ash ponds are capped in place, Vistra may be responsible for monitoring the groundwater for many years. Sofat from the Illinois EPA says Vistra must show how its closure plan will achieve compliance with groundwater standards over many years. Capping the ash ponds in place would also leave the site with a long-term risk: catastrophic failure of the riverbank and up to 600 million gallons of coal ash spilling into the Middle Fork. 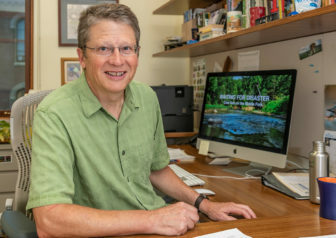 Bruce Rhoads is a University of Illinois professor who studies the erosion processes of rivers. He said it’s impossible to predict how long riverbank armoring will hold. Rhoads said engineering it may be possible to stabilize the riverbank for many years, so long as there is a commitment to monitor and repair any further damage the river causes. But eventually the Middle Fork will reclaim its floodplain, he said, including the location of the coal ash. That could happen sooner due to the groundwater seeps, he said. This lidar image shows the main channel and the floodplain of the Middle Fork River. The Vermilion Power Station coal ash ponds are located within the river’s floodplain. Rob Kanter is a Clinical Associate Professor in Environmental Science at the University of Illinois, and a Prairie Rivers Network board member. He says if the ash ponds remain, a spill on the river is inevitable. Dynegy is in the process of closing several of its other coal ash sites across Illinois. The coal ash ponds at the Vermilion Power Station are drawing attention now because of their visibility as a threat to Illinois’ only National Scenic River. The special status of the Middle Fork could also play a key role in the outcome. 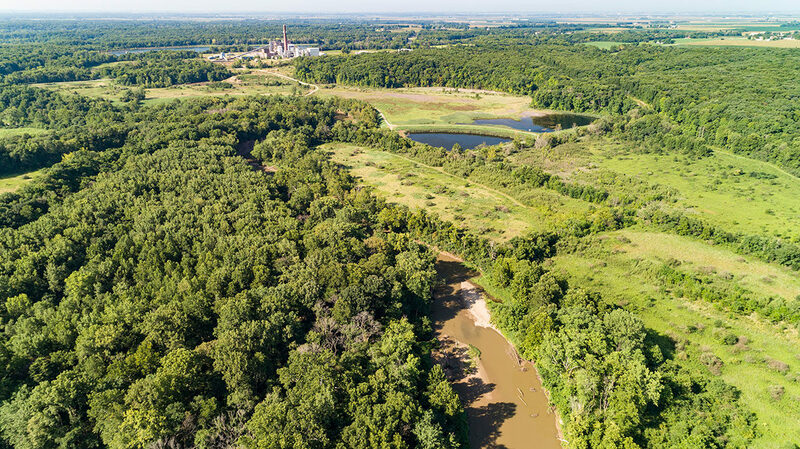 But given the lack of state coal ash regulations and the recent roll back of the federal Coal Ash Rule, advocates for the Middle Fork are concerned that the Illinois EPA will accept Dynegy’s assurances that it can permanently protect the river.